To improve players understanding of how to shooting in the box, when to shoot in the box and why it is important we have quality and composed finishing inside the box. No coaching just use as a time to evaluate players. Rotation A becomes B B becomes C and C goes towards starting line when his play is over. 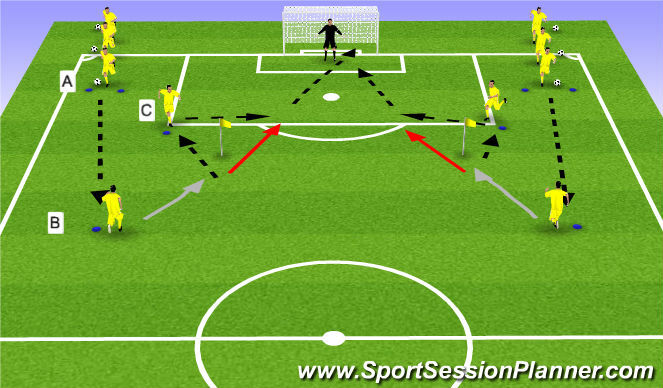 Progressions: C throws ball up and the player must decide the action to take. Progression 2: B plays to C when C takes touch past flag. B now defends. Can not score in own half but can use outside players to keep possession or to create numbers up. 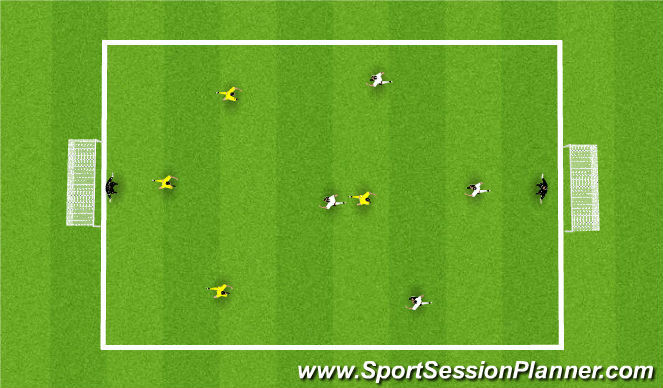 Yellow players may enter field if they have the ball however if they lose possession must return back outsde. 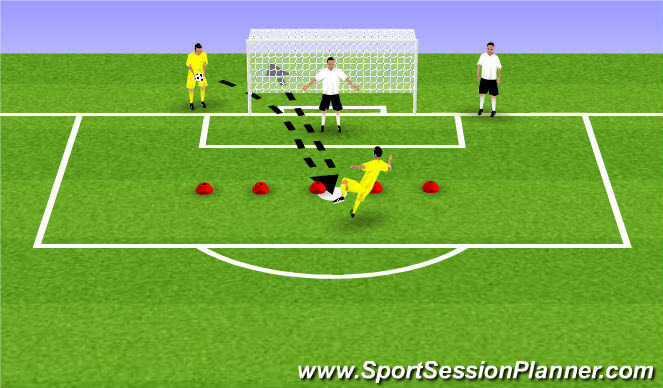 Yellow starts by performing a soccer throw to a partner past the 12 yard line. They must volley the ball out of the air to goal to try and score. The white team can stop ball with hands as a goal keeper. Yellow after shooting must run into goal as White will now serve to one of their players to try and volley and score. First team to 5 wins.